“I don’t think this show is anti-American, but it is definitely anti-Trump,” he said. He was brought to the public’s attention in February as the photographer behind Beyonce’s pregnancy announcement, which quickly became the most popular Instagram post ever, garnering more than 10 million likes. With this the 28-year-old artist Awol Erizku reached the zenith of popularity. But Erizku, who pulled off his first New York gallery show before earning his master’s degree in fine arts from Yale, said that kind of record-breaking is not the attention he desires. This is just one sign of how conscientiously the artist operates within the traditional biennial-obsessed art world, as he manages through social media and other platforms to reach a much wider audience. He becomes a DJ here and there and makes mixtapes to play during gallery shows in order to ‘make his peers feel welcome’. 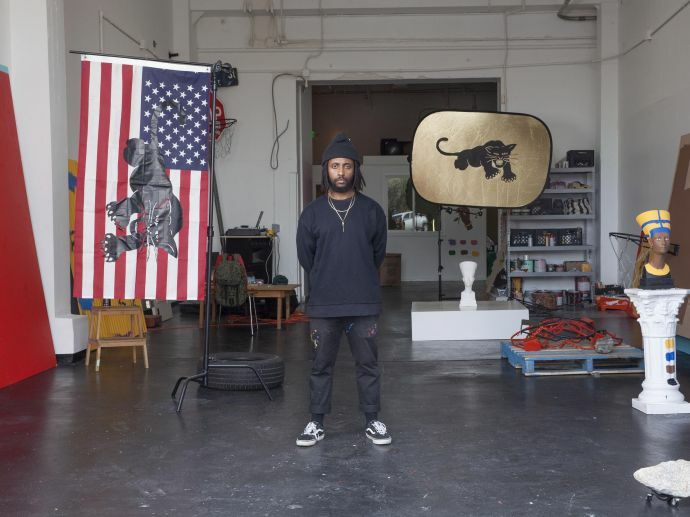 Recently, at his Los Angeles studio, Erizku showed his new artwork while listening to Jim James, Future and Kodak Black. Born in Addis Ababa, the capital of Ethiopia, the artist grew up in the South Bronx in a working-class family. According to The Nytimes, he said that he never considered being an artist until he found himself bored in a high school art history class and realised it was because of the surfeit of white bodies in the art. 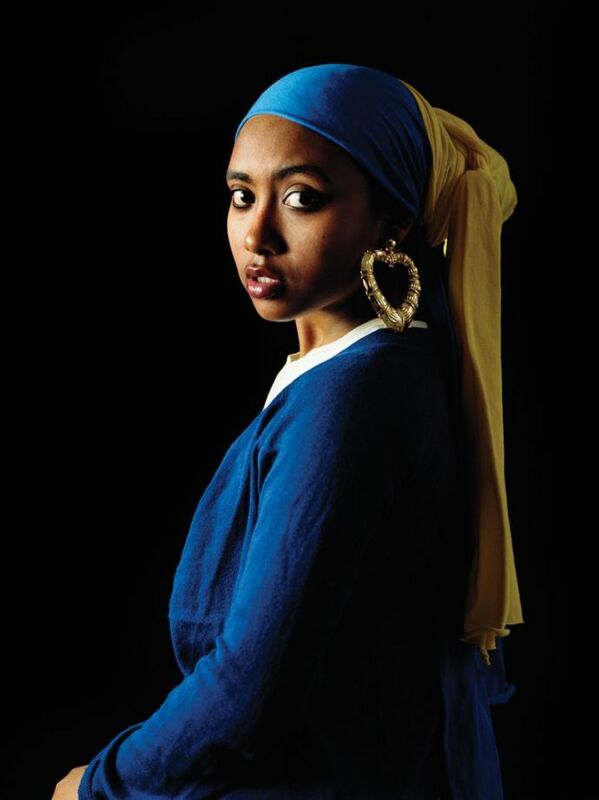 “We were looking at the painting ‘Girl With a Pearl Earring’ and at that moment I felt I wanted to be an artist so I could bring more people who looked like me, my mother and my sisters, into history,” he said. While in college at the Cooper Union in New York City, New York, he took a step in that direction. 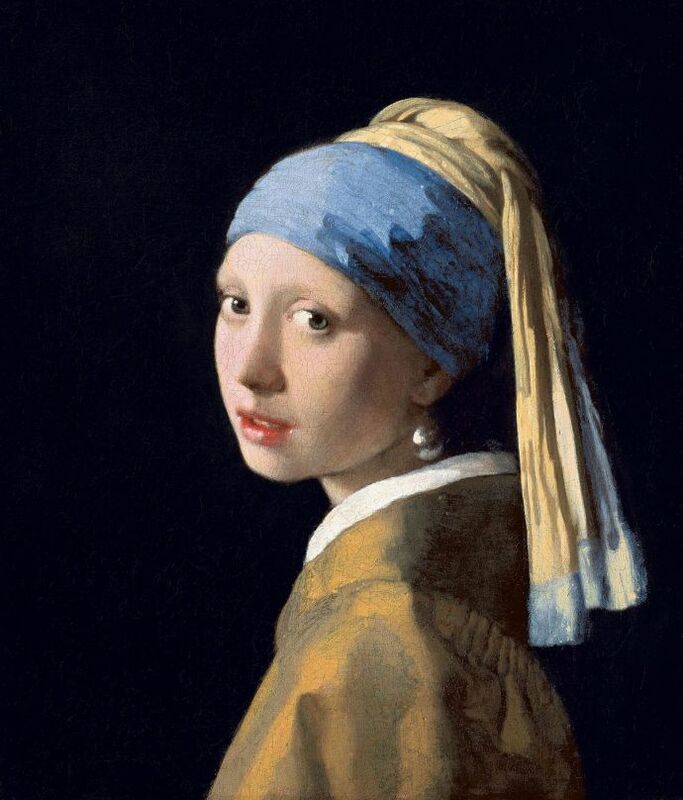 He posed one of his sisters in place of Vermeer’s Dutch sitter, in a similar fashion, and named the photograph, ‘Girl With a Bamboo Earring’. The inclusion of the photograph in a group show at the FLAG Art Foundation helped him land representation by a New York gallery when he was only 24. His new artwork is going to Europe for his first gallery exhibitions. 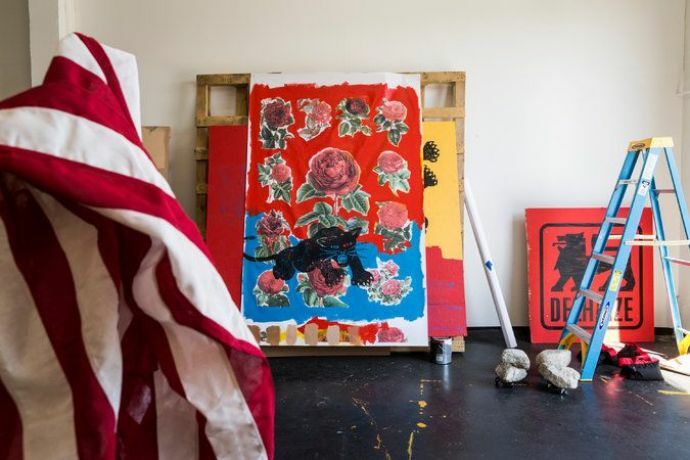 His defiantly anti-Trump show, ‘Make America Great Again’ which is being held at the Ben Brown Fine Arts in London, opens on April 20, and his more playful, ‘Purple Reign’, being held at Stems in Brussels, commences a day later. 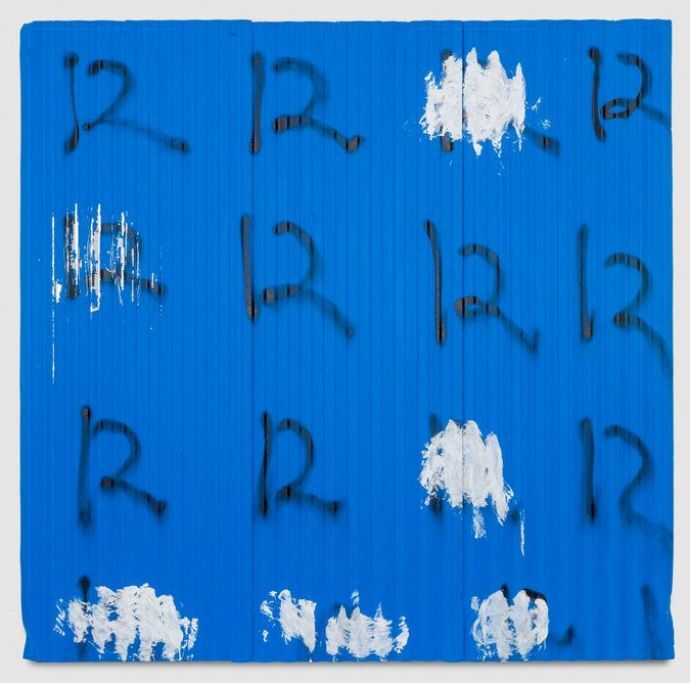 The London show at the Ben Brown Fine Arts is the artist’s most political statement to date, with gallery walls painted black and themes from earlier works, “my vernacular,” he calls it - reprised to pointed effect. On the other hand, ‘Purple Reign’ (inspired by Future’s mixtape of the same name) resulted from the artist making a photograph, painting or sculpture in response to each song on the mixtape. There are the numbers that reference Los Angeles gangs or slang, like a new corrugated steel piece spray-painted with the number “12” for police. “It’s a little Cy Twombly-ish, but if you go to any kid on the street they will know what it means,” the artists said. 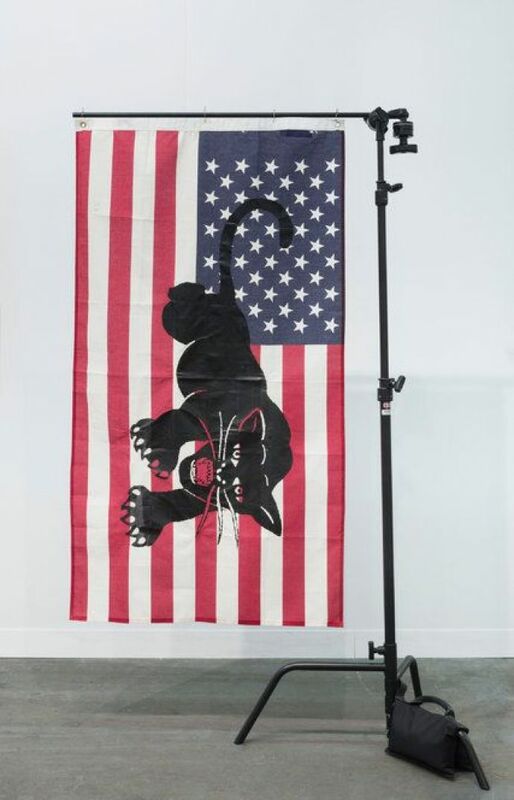 “As far as the panther image is concerned, I don’t want to take something so powerful and cheapen it by using it too much, like wallpaper. I want to give it more power”, he said, reports The Nytimes. “I’m putting it out there because I’m black and I’m Muslim and this is everything Trump has tried to stand against,” he further added.